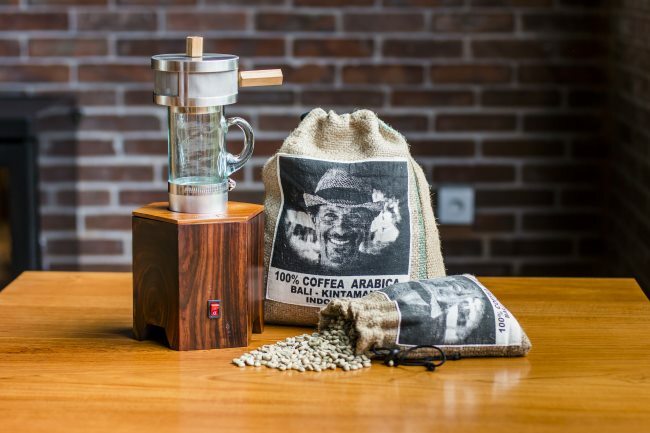 Become a Master Coffee Roaster right in your own kitchen. 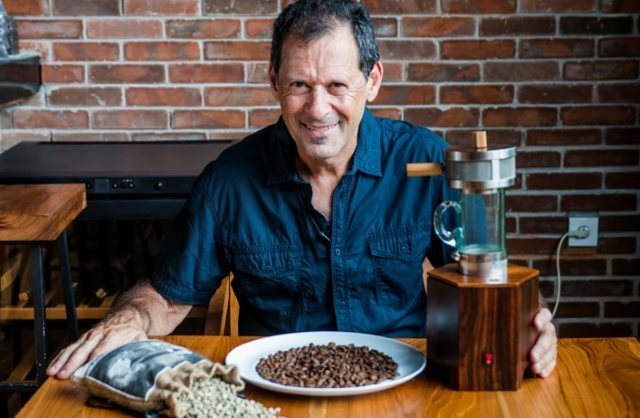 Bali coffee guru Asher Yaron and business partner Raymond Lay have just launched a revolutionary new home coffee roaster. Starting with green coffee beans and using the Fluid Bed Roasting technique, the power roaster has a capacity of 120 grams per batch at an average of six minutes per roast. With a much quicker and cleaner process than traditional drum roasters, it operates with a simple on/off switch, the beans roasted until the desired color is achieved; light, medium, or dark. At a price point of USD $300 (which includes 1 kilo — 2.2 lbs. — of green coffee), it is estimated that a typical retail café customer will see an average savings of more than $1000 annually. 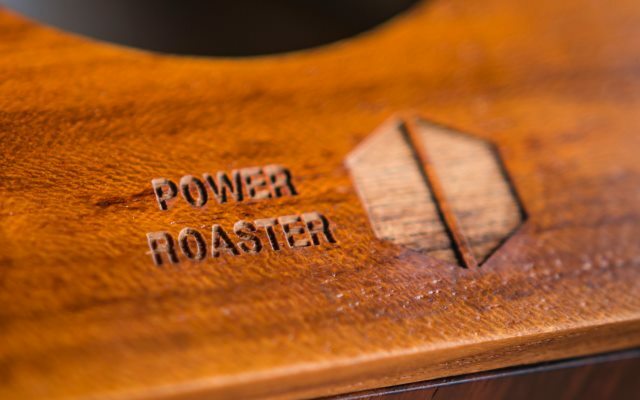 The machine, aptly named the Power Roaster, is being offered in a Kickstarter Campaign. Disclosure: This post was sponsored. INeedCoffee received equipment and compensation for this article. If you are interested in having a sponsored article for your site, product, or service, visit our Sponsor / Advertise page. Mr. Yaron, with over ten years experience as a coffee roaster, is the inventor, manufacturer, and distributor of a commercial coffee roasting machine used by chefs and cafes around the world. The author of Coffee - The Fourth Wave; A fresh roasting revolution, his TEDx talk on micro-roasting in 2012 is one of the most popular coffee talks of all time. He also maintains the YouTube channel Coffee University. Together with his partner Raymond Lay, an experienced high-tech entrepreneur in Singapore, Yaron has a strong commitment to sustainability that affects every aspect of every decision.